What are the current Scout/Nonprofit rates? We do everything we can to keep our nonprofit rates to a minimum, while still providing a great value. 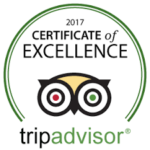 Take time to check out our reviews on TripAdvisor, Google and our Facebook page – we work hard on our reputation. Don’t hesitate to send us an email or give us a call, 608.375.5300, if you have any questions. Download our pdf price sheet. I’m planning on having a large group trip, do you have any tips to help me organize the trip? We’ve put together a pdf doc of our 15 years of experience in watching these groups come together. Let us know if we’ve missed anything! How does the reservation and payment process work? We require a 100% deposit with your reservation. Until your deposit is received, your trip is not confirmed. You have up to 7 days before the start of your reservation to make changes or cancel for a full refund, minus a 7.5% credit card processing fee. If you must cancel within 7 days of your reservation we provide a WRO Gift Card that you may use, or gift to someone else, at any time in the future, based on availability. You can either book online or give us a call at 608.375.5300 and we’ll get your reservation set up. How many miles should we expect to cover? Where should we put in and take out at? First, be sure the use the Tripinator for a suggested trip. In general, you’ll cover 3 miles per hour for the time you’re on the water (not sitting on a sand bar), this of course doesn’t factor in the day that you have a steady 12 mph headwind. So, if you’re thinking you want to paddle for 6 total hours over 2 days, times 3 mph…you’re looking at roughly an 18 mile trip. We have two options, a 16 mile (Muscoda to Boscobel) and 23 mile (Gotham to Boscobel) trip for you to choose from. I want to fish during my trip, where can I purchase a fishing licenses and what can I catch? In “normal” water levels in July and August, fishing in the early morning and evening should be pretty…dare we say, “easy.” Look for a sand bar drop off and work it. If you can find some structure, like a downed tree, even better. We’re big fans of Mepp’s (or single blade spinners) for small mouth and jigs for walleye and sauger – live bait is also an option. You’ll also find catfish, strippers, musky, northern, sturgeon and a whole bunch of others. Here are some additional tips. sell fishing/hunting licenses as well as adult beverages (no glass on the river). Remember, the person buying the license needs to be present to purchase a license which may not be the case if you drop your people off at your put in upriver. Buy online, will be the best option for most folks. it’s a simple process and you can print or keep the proof of purchase on your cellphone, if you bring it with. 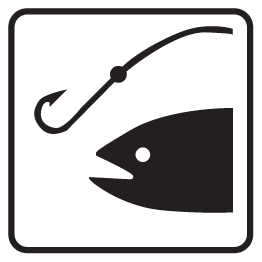 It is YOUR responsibility to be sure you’re complying with all fishing laws and regulations, insure you understand what size fish must be to keep. Our stretch of the river is patrolled by the DNR. What’s the interior dimensions of the canoes? What’s the largest cooler we can bring? Download the pdf (check your download folder). What’s earliest/latest we can start/finish our trip? We open at 9 AM daily with our first vehicle heading upriver is 9:30 AM. Keeping in mind that we need to get you on the water with enough time for you to find a sand bar and hopefully get your tent up before dark…our cut-off time to drive you upriver is generally 5 PM. Staying in touch with us on the day of your trip will help us provide you with as quick a turnaround from the time you arrive at our shop to when we get you on the road heading upriver to your putin. NOTE: Long distance trips (Sauk City and Arena) have specific departure times and must leave on time, call for additional information. Assuming you’re finishing in Boscobel, you can finish as early as you like. However, we ask that finish your trip by 6 PM so if there’s some sort of an issue we still have daylight to help in guiding you to the finish. If you’re finishing downriver from Boscobel, arrangements will have been made prior to your departure. PRO TIP: For the fastest turnaround time on Saturdays in July and August, AVOID arriving at our shop between 10:30 AM and 12:30 PM – this is when the bulk of our weekend paddlers arrive for their ride upriver. Remember, we handle transport on a first come first served basis. Do you have a “packing tips” video I can watch? Do you have any menu suggestions? This is a tough and broad question. You can keep things really simple: cereal (or granola and yogurt) for breakfast, sandwiches for lunch and dinner and snacks to fill you over the course of the day – no stove needed. Or, you can go hog wild: omelets (or eggs Benedict) for breakfast, deli sandwiches with all the fixin’s for lunch and steak and lobster with local sweet corn for dinner. It all comes down to what gear you have and your desired efforts. PRO TIP: Cook as much of your meal at home and simply warm it up on the river. Sloppy Joes, fajitas and pasta sauce are all great examples of “easy warmups” on the river. Really? We get to camp in the middle of the river, on a sandbar? Do we need a permit? Yes, really! When water levels are right, you’ll camp on a sand bar in the middle of the river. You are prohibited from camping on the shoreline – sand bars on the river only. The river is State land and, at present, you do not need a permit to camp on the sand bars. However, you do need to arrive by watercraft in order to be permitted to camp on the sand bars. Sand bars are first come, first served. While we operate on a MUCH less traveled portion of the river, you may find that you need to share a sand bar on occasion – get to know your neighbors, respect each other and enjoy. If I own my own canoe/kayak, will you transport it for me? Absolutely! In general, we’ll ask you to drop off your boat(s) at your desired put-in, the driver will come to our shop and we’ll run him/her back up river on our next available shuttle. 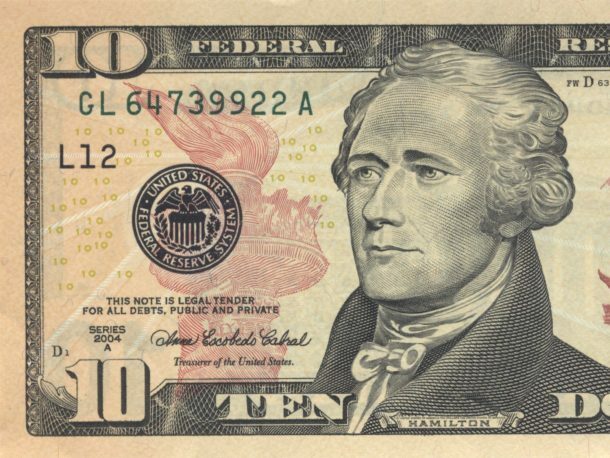 We charge $2 per river mile for the first boat and $20 for each additional boat. See the complete price list here. Will you transport my inflatable watercraft/paddle board? We’d be happy to transport any watercraft, however we will not transport inflated watercraft. You will either need to drop your inflated watercraft at your desired put-in before coming to our shop for your ride or arrive with it deflated and inflate it at the put in after we drop you off. How should we handle water during our trip? We HIGHLY discourage you from filtering/boiling/using tablets with the water from the Wisconsin River – keep in mind it’s draining 1/3 of the Dairy State. We also believe purchasing single serving plastic water bottles produces too much trash. We’re big proponents of Jerry Cans. We’re lucky enough to have a few options for filling water jugs during your trip. By having enough cans and filling them when you have an opportunity – this is the safest way to go about providing drinking and cooking water for your group. See our list of boat landings and their amenities. How can I reduce the amount of trash I have to deal with on the river? So, the decision has been made, there’re no trash cans at the landing, here’s how you can reduce the volume of trash that you need to pack out. PLEASE, recycle what you can! If you’re passing the Muscoda or Blue River landing – they still provide trash cans. Lighten your load along the way ditch what you’ve got there. We see it all the time, a customer shows up with their brand-new do-hickie and it’s still in the retail packaging. Recycle the packaging at home, otherwise you just added to the amount of trash you’re hauling around. If it came in a cardboard box…burn it. PLEASE don’t burn plastic packaging – you will be ticketed for burning trash/littering if the DNR rolls up on your campsite and they find residue in your fire. Water bottles – Don’t buy the 24 pack of individual water bottles, buy two 1-gallon jugs. Better yet, the ultimate recycle/reuse, buy a Jerry Can and fill it up and dispense into smaller individual bottles like a Nalgene. WRO also rents Jerry Cans. We’re big believers in preparing meals at home and simply warming them up on the river – this will eliminate a HUGE amount of trash by not going through the prep process while on the river. Avoid individually wrapped food/snacks inside a box…and bringing the box on the trip. Not only does it take up space at the start of your trip, you also end up adding to your trash heap at the end of your trip. Adult Beverages – NOTE: we’re not advocating alcohol consumption on the river, but we’re not naïve enough to think it doesn’t happen or suggest you stop doing it – so here’s some practical suggestions. Create a recycling bag of JUST aluminum – there are several organizations within Boscobel that would love to have them. Reduce the volume you bring on the river in the first place – your objective should not be about getting PLOWED, it’s unsafe. Our opinion, it should be about a wee buzz, not getting tanked. Consider liquor instead of the volume of space needed for beer (this will save cooler space as well as trash). Remember – NO GLASS! Final tip – bring a high-quality trash bag! Generally, an inexpensive trash bag means thin plastic that can easily be punctured. A punctured bag is a leaky bag! If you can, go with a heavy-duty contractor 3 mil bag and you won’t be dripping all over the place. Take some time and prepare for how you’re going to reduce the volume of trash you bring off the river. Just like our philosophy regarding the gear you bring – you’re only out there for a short period of time, it should be about what you can live without, pack light! It will be easier to drop off that small bag of trash at a gas station on the way home than a HUGE trash bag you can’t even fit in your car. How does transportation work? How do we get back to our car? Because we realize a canoe rental doesn’t have the consequences missing a flight has, we handle transport upriver on a first come first served basis. Yes, you did provide an arrival time when you booked, but 15+ years of experience tells us only about 30% of our customers arrive at our shop at the time they provided. Because of this, we move our customers upriver on a first come, first served basis. On Saturdays in July and August, if you want to reduce your possible wait time, we HIGHLY recommend avoiding arriving at our shop between 10:30 and noon – this will create your longest wait. Transport is handled on the front end of your trip (for all trips finishing in Boscobel), which allows most of our customers no-wait to: finish their trip, load up and head home (Land-Load-Leave). Follow these easy steps and we’ll efficiently get you on the river. Go directly to your put in (boat landing, launch, starting point), directions are in your email confirmation or click here for access to website directions pdf. Drop off ALL people and gear – be sure not to miss anything. ONLY the driver (this helps us move as many canoes as possible with as few people) will continue downriver to Boscobel (715 Wisconsin Ave, Boscobel, WI 53805, 608.375.5300) – included in directions. We’ll get you checked in at the shop and get you up river as shuttles become available. We’ll drop your car at the boat landing in Boscobel on our way upriver so it will be waiting for you at the end of your trip. Come directly to our shop at 715 Wisconsin Ave, Boscobel, WI 53805. We’ll get you checked in. We’ll move your gear to our vehicle and get you on the next available shuttle. We’ll drop your car at the boat landing in Boscobel on our way upriver, so it will be waiting for you at the end of your trip. To help reduce the time between dropping off your paddle partners and you and the canoe(s) getting back to the landing, here are some tips to get you on the water with the fewest delays. Arriving at our shop at 9 AM will get you on the first shuttle up river up river at 9:30 AM. Having ONLY the driver arrive, saving space in our vehicle, will get people up river faster. This can change from one Saturday to the next but be aware – arrival between 10:30 and noon will cause delays in getting you upriver because that’s the time that the bulk of our customers tend to arrive (and we’ve already got vehicles that are upriver and need to wait for their return). Arrive at the shop ready to go…trips to the store, bait shop, etc. will delay you and possibly a vehicle ready to leave the shop. Double check your car…a lot of people forget their tents or other small gear. PLEASE, carpool. Again, it will help in getting you on the water faster…and saves fuel. If you have any questions, give us a call at 608.375.5300. If it’s a weekend, be patient…the phone will be ringing off the hook. What are your Top 5 Tips if I’m a new canoe-camper? We’re bringing 15 years of experience and thousands of paddlers to bear with these suggestions. If you’ve never canoe camped before, choose a shorter trip than you might otherwise. Especially if you’re planning for a group, you’d rather finish the trip wishing you’d done more than thinking it would never end. Don’t over pack! Take some time to plan the packing for your trip and watch our Packing Video and see our Packing List. Remember, the Wisconsin River is a Pack In, Pack Out river. You will need to take your trash with you at the end of your trip as there are no trash cans at the boat landings – get some tips. Be sure to understand our transportation process. We’ll be able to get you on the water more efficiently if you follow our process. BONUS #6. Many paddlers have the objective of canoeing the bulk of their trip so on the last day they’re within 5 miles of the Boscobel boat landing. This means competition in those last few miles is high, especially on Saturday evenings in July and August. Do you have a packing list available for overnight trips? A canoe camping trip on the Wisconsin River is a wilderness experience; the Wisconsin River is NOT Six Flags. It’s important you approach your trip in the correct frame of mind. Keep in mind; most people are on the river for 24 hours. There’s no need to over pack and you don’t need “the kitchen sink.” The objective is NOT to see how much you can bring…but how little and still meet your needs. 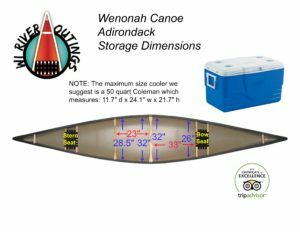 Watch our Canoe Packing video. The #1 item that customers don’t pack and wish they would have – Rain Gear! Please, please, please…bring rain gear! You are expected to finish the trip you booked. Rain is not a reason to end your trip early. We want to stage a car along our trip, can you help us with that? What’s the deal with firewood, do you have it available for sale? Gather wood from sandbars as you see it – staying out of the trees. The further into the season you get, the less of an option this is. Ticks – no one wants Lyme Disease! TIP: Leave the hatchet at home! If you’d seen the shins, feet and fingers we’ve seen – you’d bring a saw and not a hatchet. Purchasing firewood is the path of least resistance. Please – be careful out there!